Assistant Sports Editor Kevin Roberts and Community Engagement Editor Kaitlyn Yeager work in The Register Citizen Newsroom Cafe Saturday. What our news coverage looks like in this new world is a work in progress. But thanks to an historic hurricane threat, the past few days have provided a glimpse into the kind of Digital First operation we are becoming. * We’re mobile first. Neighborhood evacuations, parking bans, power outages, warnings from the governor first go out to our readers via SMS text message alerts. Hurricane Irene helped triple The Register Citizen’s base of SMS breaking news subscribers as we advertised the service as vital this weekend for those who may lose electricity and not have access to TV, radio or the Internet on a desktop computer or laptop. * We use new tools. The reporter’s notebook and pay phone has been replaced with smart phones, Flip cameras and Netbook computers with wireless access from anywhere with a cell phone tower signal. Our reporters are live tweeting and live blogging events in the field, as they happen, and filing photos and video in real time. Instead of just interviewing a fascinating subject at an opportune time and recounting it in print, they invite the audience in via live-streamed video and live chats. Or invite them to watch the hurricane itself as it approaches. * We use the power of the cloud. 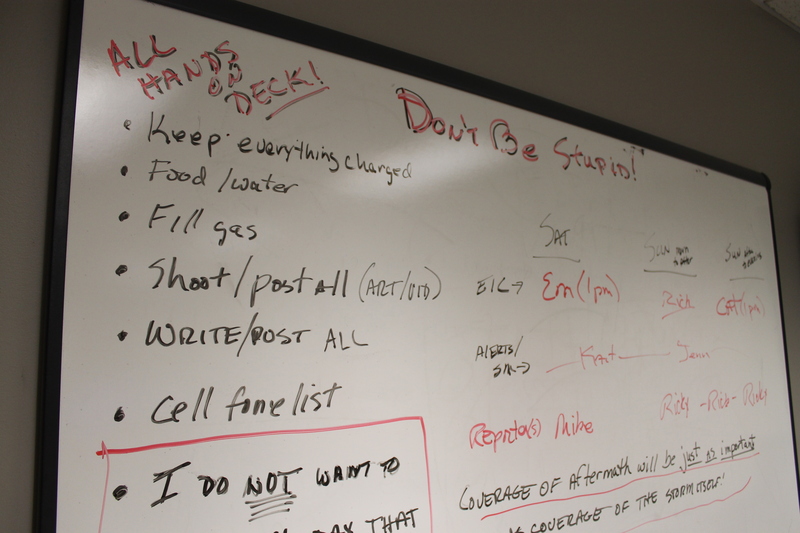 Our hurricane coverage included use of Google Docs to compile lists of flood-prone areas, emergency shelters and evacuation routes from multiple reporters and editors from multiple offices around the state. We used Google Maps to visualize those locations for readers, in a format that could be embedded on our site or anywhere on the web. 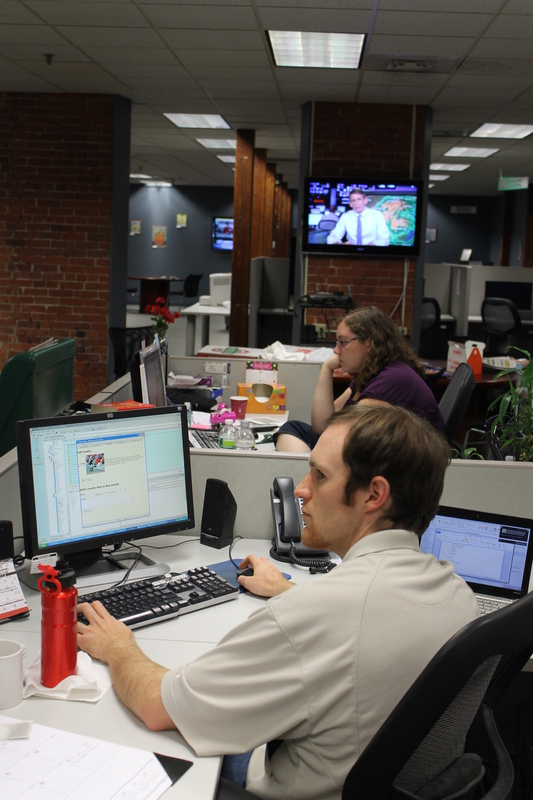 And we used Google Docs for numerous other functions of our news operation, from sharing and updating statewide story budgets to maintaining emergency contact lists. * We use the power of our audience. As stores ran out of batteries and bottled water and long lines of cars formed at local gas stations, we crowdsourced the remaining availability of supplies in our coverage area. Readers submitted photos of storm preparation and damage. And we partnered with “new news ecology entrepreneurs” such as See Click Fix to help readers report and learn about storm-related problems. * We aggregate and curate. The Register Citizen tweeted more than 100 times over the course of 12 hours on Saturday as Connecticut prepared for Hurricane Irene. Its Twitter feed included storm-related news, pictures, observations and links from its own staff, but it also was a diverse mix of retweeting of reports from local residents, answers to questions posed by readers, and retweets of state and national media reports, as well as information being tweeted directly from public officials and local businesspeople. Similarly, our websites included far more than just our original reporting. They included a robust mix of links to and embeds of reporting, graphics and videos from other news organizations, including blogs. And we use tools such as Storify to compile and present news and information from the Twitter accounts of our readers. * We invite the audience in. 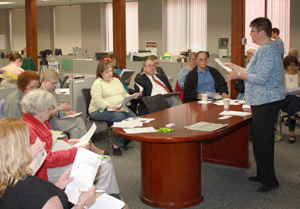 In Torrington, our daily newspaper operates out of an open-to-the-public newsroom, The Register Citizen Newsroom Cafe. All day Saturday, residents were there utilizing the newsroom cafe’s free public wifi to go online and check on relatives in the path of the hurricane further south of us, to watch the Weather Channel on our big-screen TVs, and to see if they can find out the latest from reporters and editors who are following the storm up-to-the-minute. For our staff, this kind of interaction offers an endless supply of news tips about how the community is preparing for and reacting to the storm, and helps us zero in on the biggest issues they want to see addressed. Dr. Mel Goldstein on his East Haven deck. 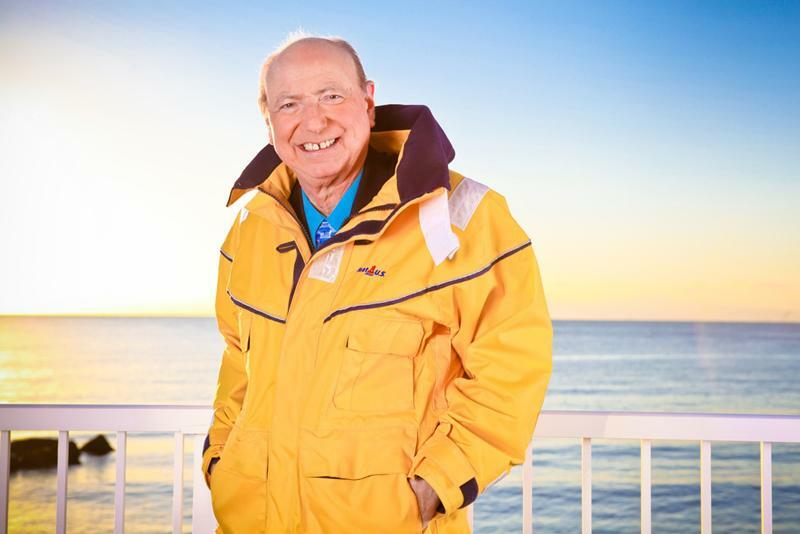 Beloved Connecticut weather man Dr. Mel Goldstein announces his retirement, and Connecticut faces potentially one of the biggest weather events of the century. So the New Haven Register convinced Dr. Mel to come out of retirement for a little while on Friday morning. He’s agreed to do a live chat with readers of the Register, Middletown Press and New Haven Register at 11:30 a.m. Friday. For more on the career and retirement of Dr. Mel, check out Register TV Editor Joe Amarante‘s recent column about him.